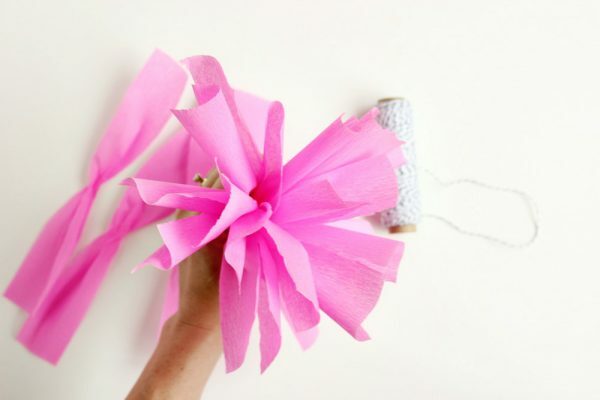 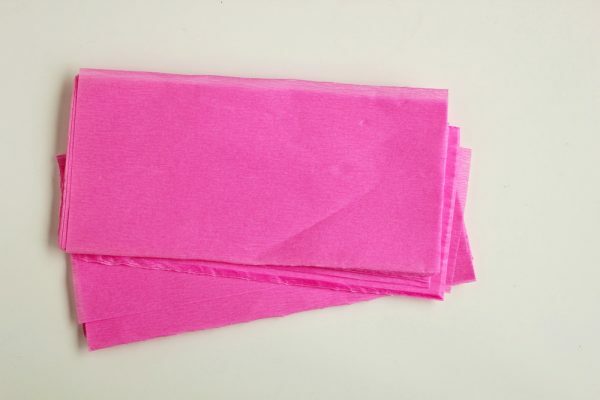 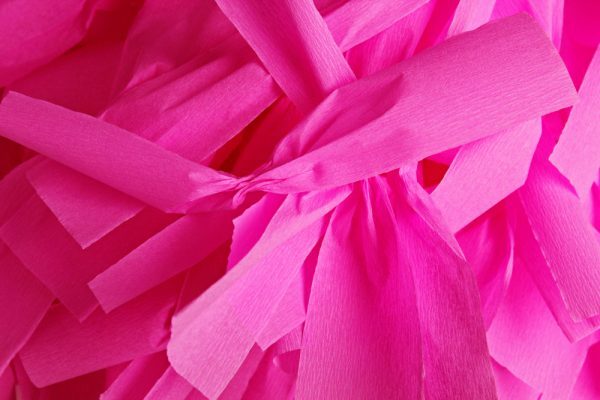 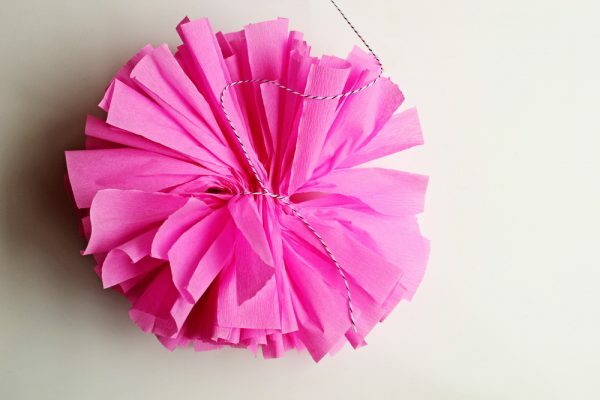 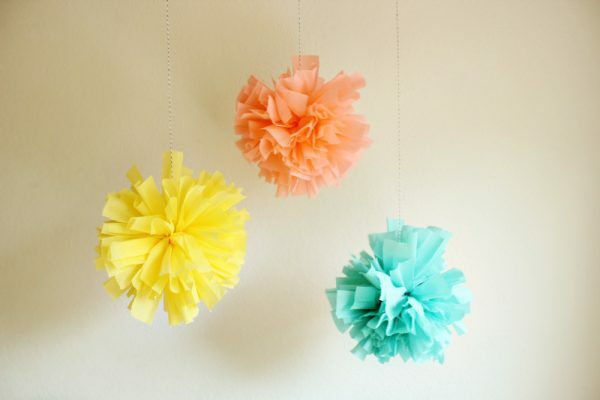 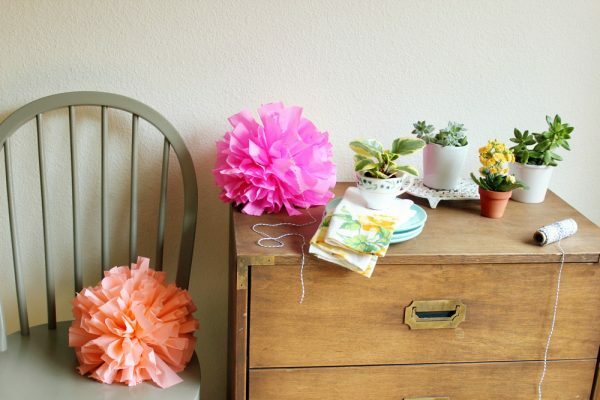 Unpack each roll of crepe paper and cut the entire fold in half. 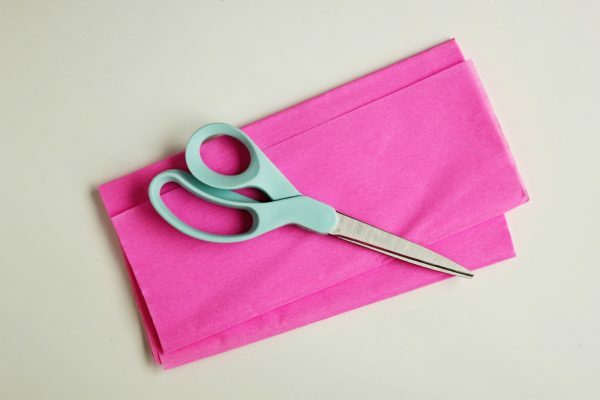 Insert the point of your scissors in the folded edges and cut. 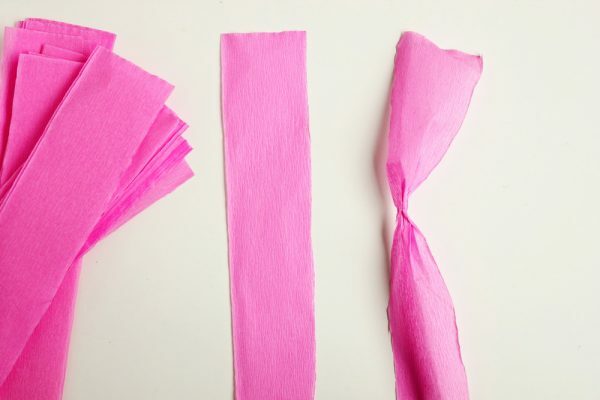 Cut each section in half.